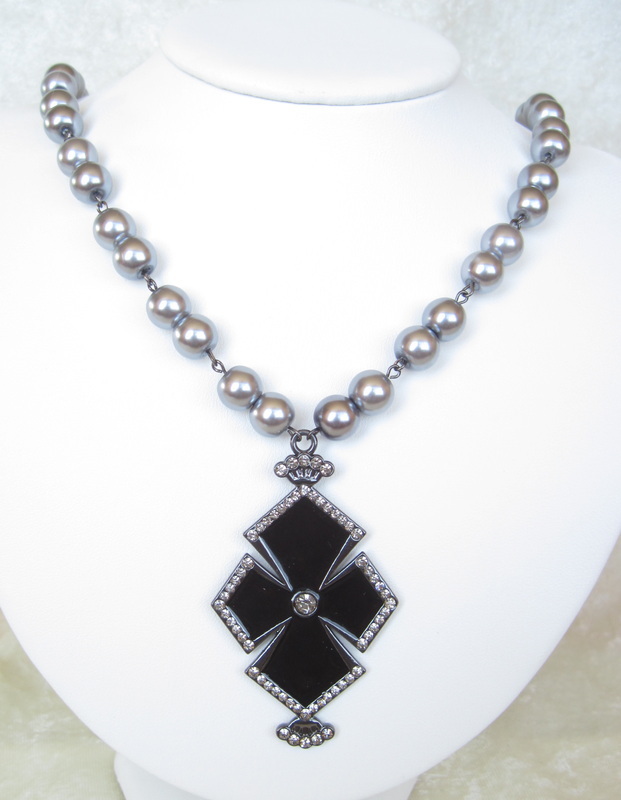 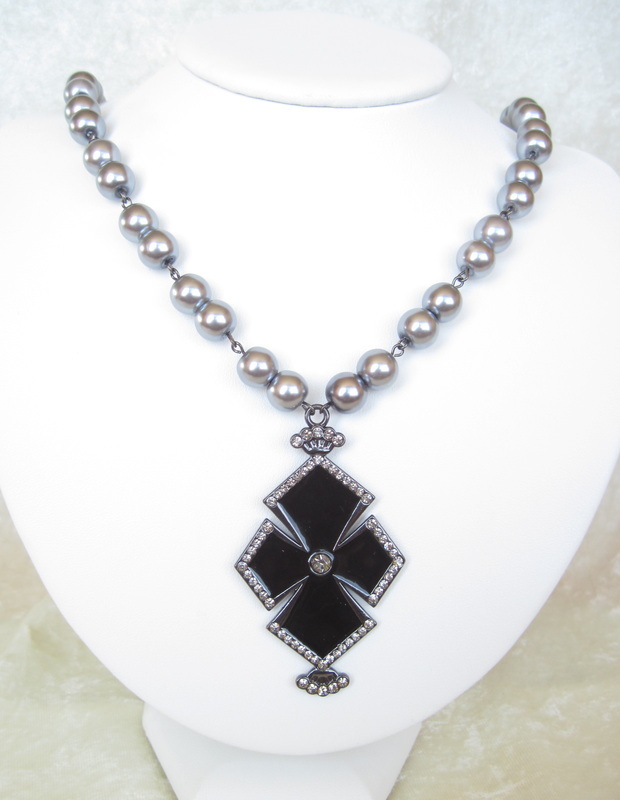 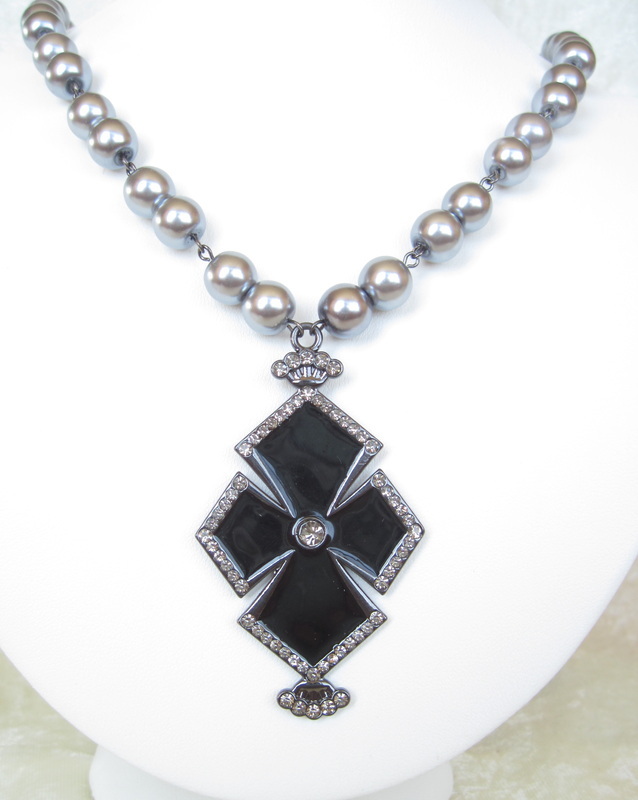 A highly stylized black enameled cross is the centerpiece of this original necklace. 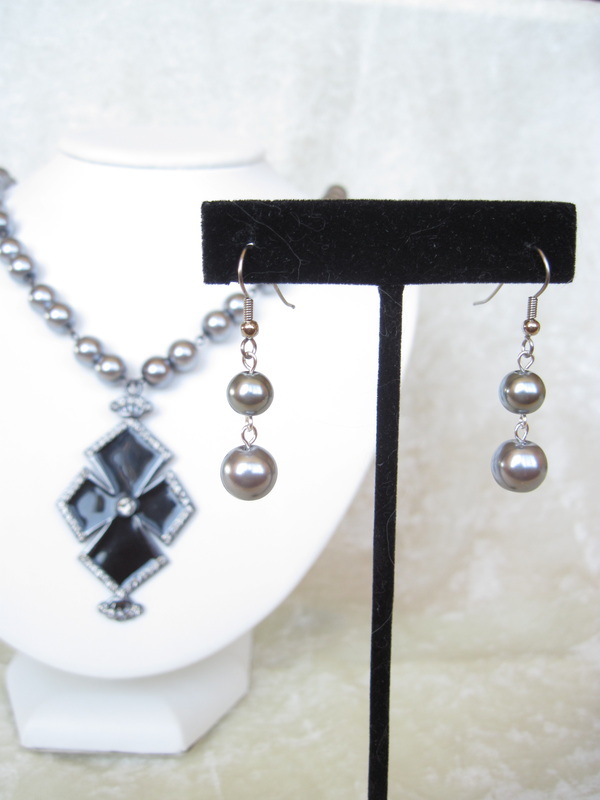 Sparkling clear rhinestones adorn the edges for just the right amount of sparkle. 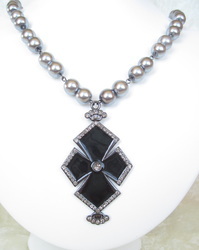 Large, pewter color glass pearls provide the harmonious, hand-set strand that suspends the cross. Elizabethans wore their religious symbols daily - you can too, or show it off at Faire! 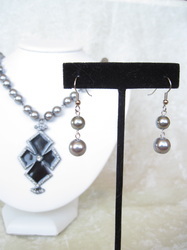 The necklace measures 21"; the matched earrings 1".